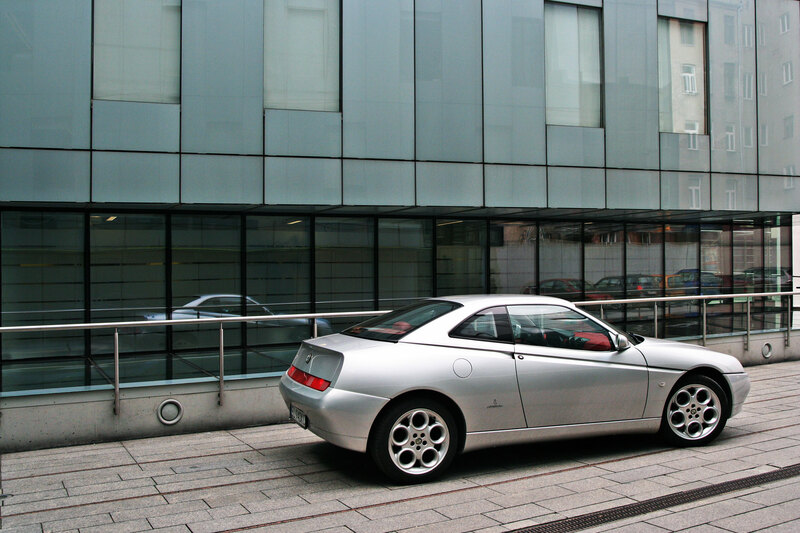 GTV – Gran Turismo Veloce. First GT name was used along Giulia Sprint GT. ‘Veloce’ was previously used in both Giulietta and Giulia ranges, meaning uprated specification. Giulia Sprint GT was later updated to ‘Veloce’. 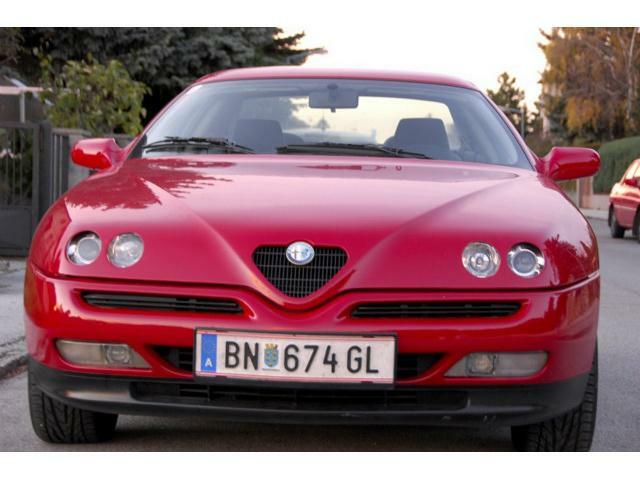 This combined into Giulia Sprint GT Veloce and later 1750/2000 GT Veloce and finally Alfetta GTV and GTV 6, which for the first time used fully combined name. 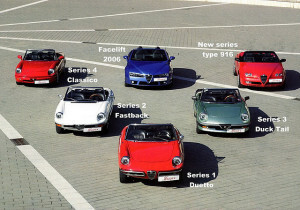 Spider – No need of history introduction as the Spider name was in constant use by Alfa Romeo and couple last genrations included: Giulietta Spider, Giulia Spider and 4 genrations of 105-series Spiders. Name originates from english name ‘speeder’, a two-person open horse-carriage, and has nothing to do with an eigth-feet bug. 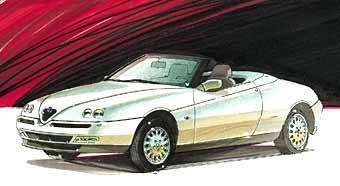 Spider is also a name of an open top coachwork not only a name of the car, just like ‘barchetta’. Some other brands use simillar name: ex. Maserati Spyder, Ferrari 250 California Spyder. 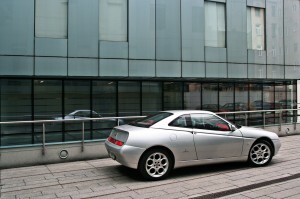 Both cars were designed by Enrico Fumia at Pininfarina. 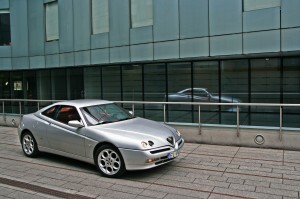 The GTV was planned to re-establish the sporty coupe tradition of Alfa Romeo for the 1990s. 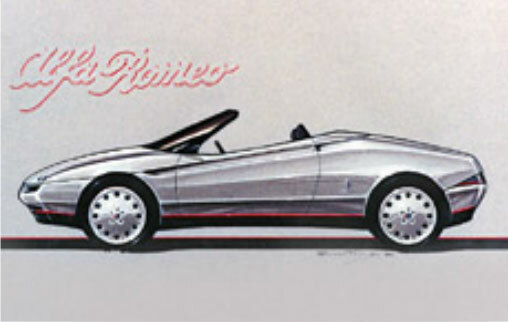 Fiat commissioned proposals for GTV/Spider at least to Pininfarina and Bertone, and apparently the Pininfarina was chosen. The design dates back to initial renderings of September 1987 and first clay models to complete 1:1 scale model in July 1988. Rear lamp design, at first twin horizontal clusters, was changed to look more simillar to Alfa 164 rear lamp strip. 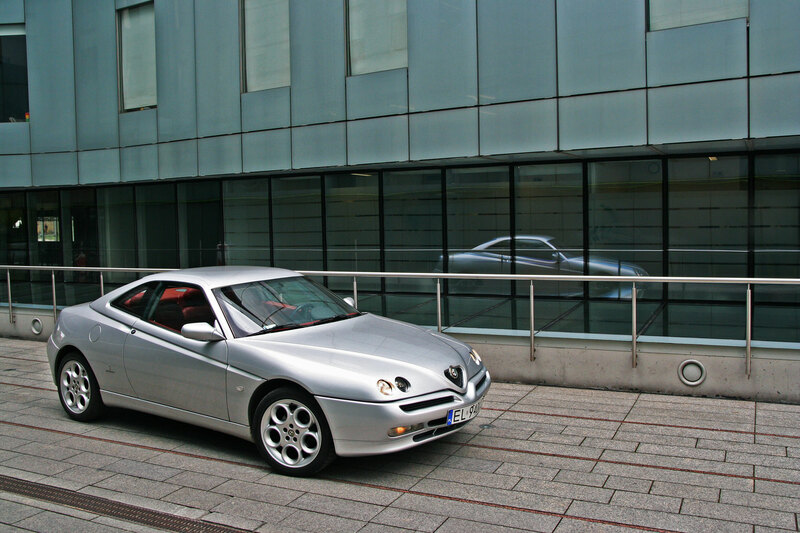 After Vittorio Ghidella (Fiat CEO) accepted the design, Centro Stile Alfa Romeo under Walter de Silva was responsible for the completion of the detail work and also for the design of the interiors, as the Pininfarina’s proposal was not accepted. 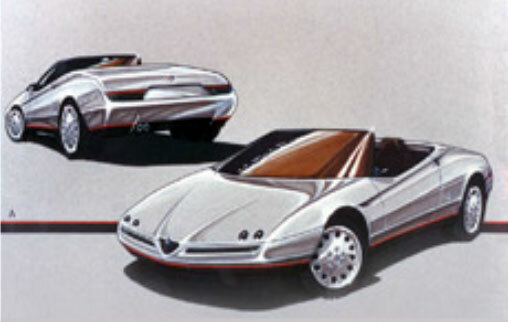 The car was produced in three distinct phases. The phase 1 cars had a black plastic grille in the nose of the bonnet, without the chrome edging. 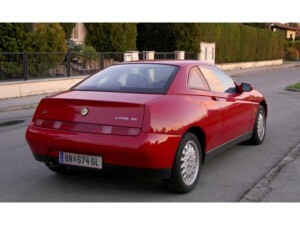 2003 restyling was carried out by Pininfarina but not the Enrico Fumia. 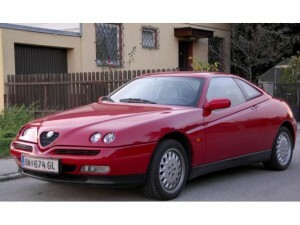 Interior’s restyling probably again Centro Stile Alfa Romeo. Phase 3 cars have bigger headlamp apertures then previous editions. Phase 3 restyle had to be carried out in first half of 2002. 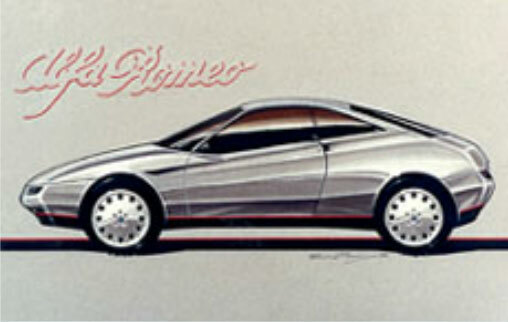 The design, with the diamond-shaped Alfa Romeo grille and dual round headlights, recalling the Audi Quartz, another design by Enrico Fumia from 1981. 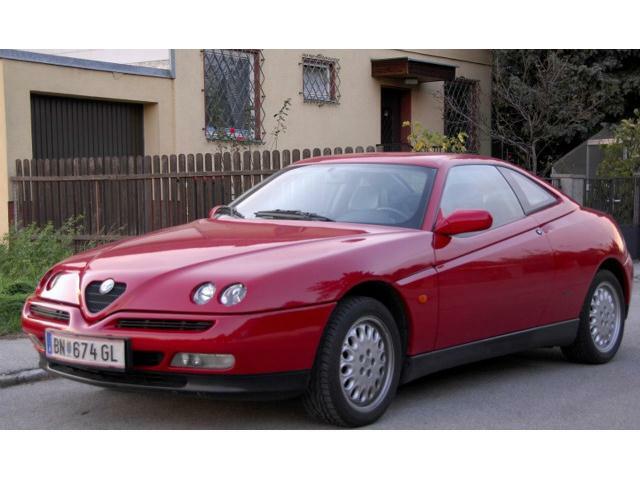 Many of then-current Alfas had very simillar scudetto but mostly made as a seperate piece with chrome surround, here the shape of the scudetto is outlined by the holow space in the bonnet with mesh underneath. It is low-slung, wedge-shaped with a low nose and high kicked up tail. The back of the car is “cut-off” with a “Kamm tail” giving improved aerodynamics. 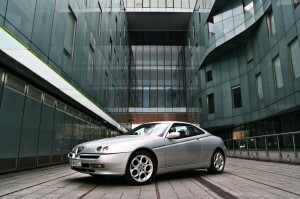 Drag coefficient was 0.33 for GTV and 0.38 for Spider. 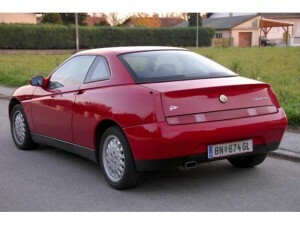 The Spider shares these traits with the GTV except that the rear is rounded. The Spider featured a folding soft-top with five hoop frame, which completely disappears from sight under a flush fitting cover. 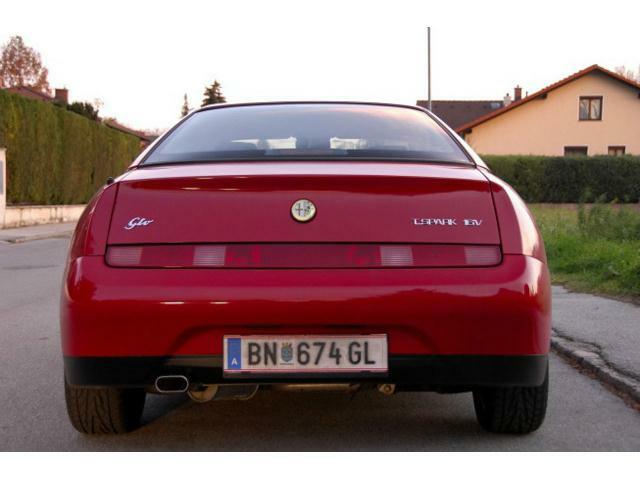 Details included a one-piece rear lamp/foglamp/indicator strip across the rear of the body. Inside the minor instruments in the centre console angled towards the driver. 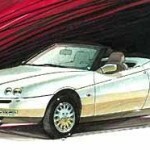 1995, Autocar Magazine: “1995 Car of the Year”. 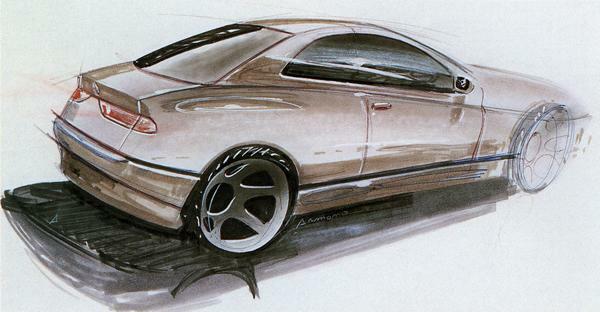 1995, Car Magazine: “Best Designed Car”. 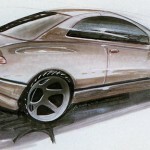 1995, Car Magazine: Best Design Detail in production award. 1995: “The World’s most Beautiful Automobile” award. “Engineer of the Year” for Bruno Cena.